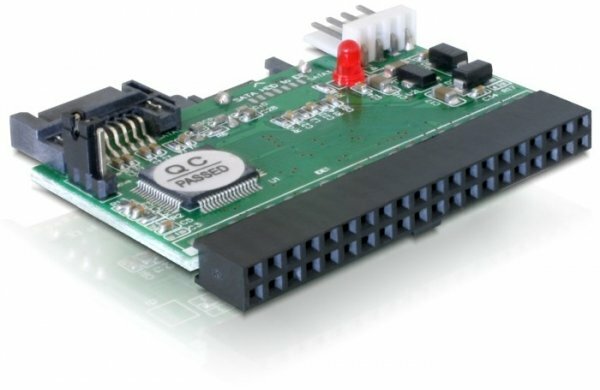 This converter by Delock enables you to connect 2 SATA HDDs to a 40-pin IDE interface. The converter can be plug onto the 40-pin male port of your mainboard easily and does not require any driver installation (and is hence independent from any OS). The SATA HDDs can be set to Master and Slave. Note: Using two SATA HDDs is mandatory, the adapter does not work with a single drive!